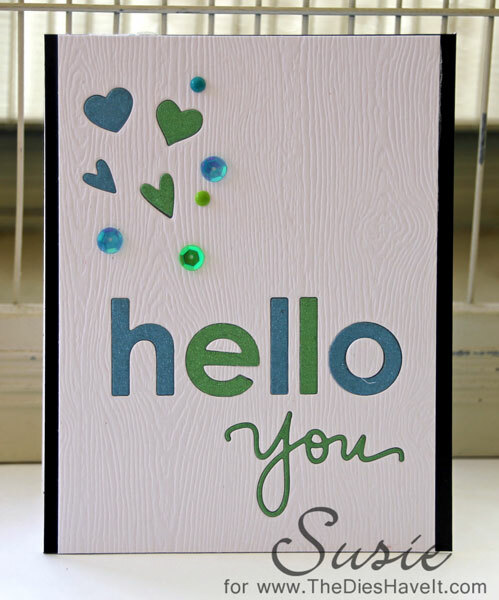 Have you noticed the clever trend of inlaid die cuts? It is so much fun to do! All you do is die cut your words and embellishments out of your base card stock and then again out of coordinating papers. Then place the die cut coordinating papers into the holes on your base piece. Give this a try. I KNOW you will like it.